Hendrik Muth replaces former U.S. product chief Joerg Sommer, who had held the role since 2013. WASHINGTON -- Volkswagen of America is shuffling its product planning leadership ahead of key vehicle launches next year that it hopes will revive the brand’s sagging fortunes in the U.S. market. 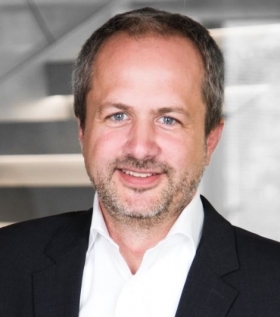 Hendrik Muth, 42, was named vice president of product marketing and strategy, effective Aug. 1, where he’ll oversee product planning and strategy functions for the U.S. market, VW said in a statement. He will report to VW of America COO Mark McNabb. Muth replaces former U.S. product chief Joerg Sommer, who had held the role since 2013. Sommer will leave VW at the end of August, according to a VW spokeswoman, who declined to elaborate on the departure. After joining VW of America in 2012, Muth was responsible for VW’s high-performance R division and VW’s accessories business, according to a VW statement. He also has overseen U.S. market vehicle pricing since 2014. The changes come as VW prepares to shift its near-term product focus to all-wheel-drive vehicles and crossovers. The awd Golf Alltrack arrives this fall, followed by VW’s long-awaited midsize SUV and the redesigned long-wheelbase Tiguan next year. The pivot is crucial to VW’s work to recover from its diesel emissions crisis. VW’s sales have declined for the last nine months straight on the freeze for new diesel sales and its car-heavy lineup. VW sells only two crossover models in the U.S. market amid slumping passenger car sales nationwide. The VW brand’s U.S. sales plunged 14 percent through the first seven months of 2016 to 177,772. Sales in July dropped 8.1 percent to 28,758 vehicles.